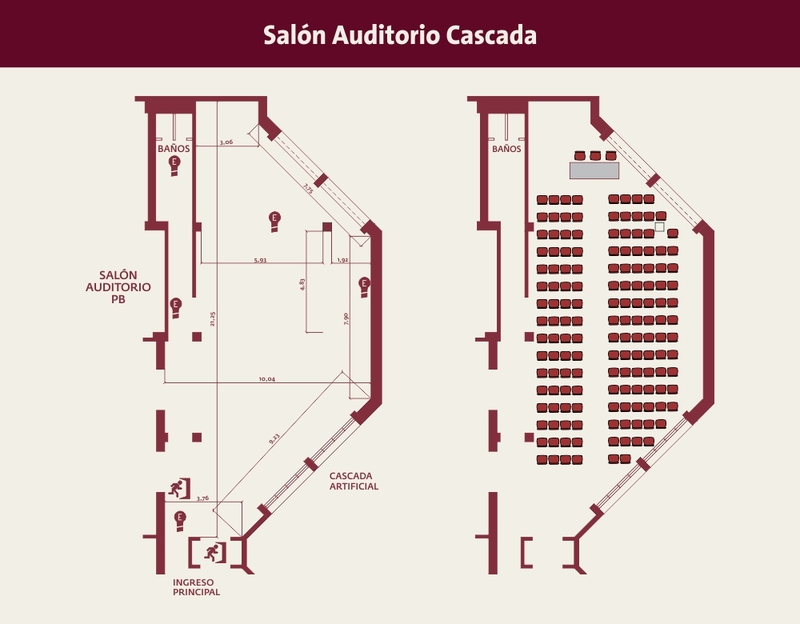 Located on the first floor, a few meters away from the main entrance, stands the Cascada Hall, which was designed for conferences, debates and presentations. its architecture complements the wooden floor and has a view to the artificial waterfall, one of the main attractions of the hotel. Capacidad para 150 en conferencia.